Use these pans under your ham to catch drippings and keep your grill clean! 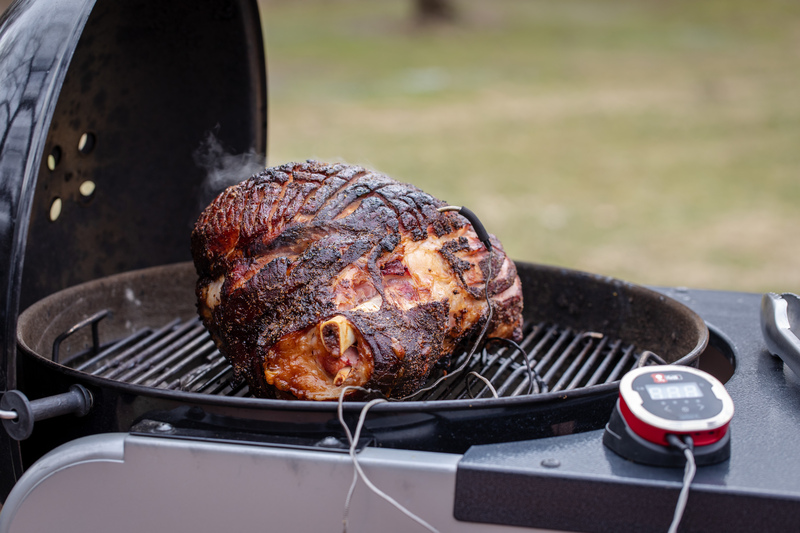 Hams can take a long time to cook and with the up and down weather that many of us have throughout the year, you are going to want your grill to stay nice and warm, so that means no peeking! This is where the iGrill comes in! The iGrill is an app-connected thermometer that will send alerts right to your phone about the internal doneness of your food. Trust me, you are going to be thankful for this accessory! There's not much an amazing set of tongs can't do. Move your ham, or even rearrange charcoal with the greatest of ease. The Premium Tongs have a no-slip-grip and are long enough to keep your hand far from the flame.